I stopped in my GNC to purchase vitamins the clerk was doing lots of markdowns. So I decided to take a peek at what was being put on clearance. 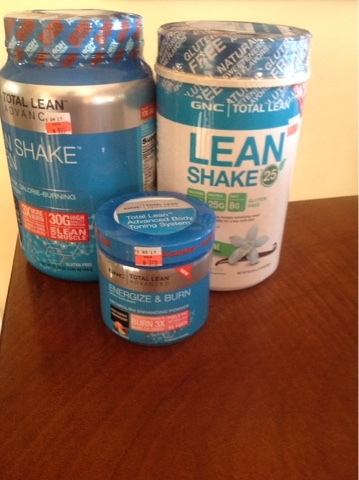 Low and behold there were LEAN shake products normally priced at $39.00 or higher were all marked down to $7.99 and $9.99. Curious as to why the a price reduction so, I asked she said it is close to the USE BY date. I noticed that was almost two months away(giving me plenty of time to consume it before that date ) , well I bought a few items. Next time you are shopping for your GNC faves, take a minute to stroll by the clearance shelves, you never know what you might find .